Homeowners and businesses may need Santa Barbara self-storage capabilities for many reasons. Perhaps they are between locations and need a place to store belongings until the new home or office is ready. At times, there may be too much furniture that needs to be stored until it can be disposed of or sold. Sometimes a storage need is only temporary, as in the case of homeowners whose homes might be getting a little crowded over the holiday season. If you’re looking for storage solutions in Santa Barbara, McCann Mini Storage provides over 400 units to accommodate any short or long-term storage needs. For example, a 5 x 5 unit is similar to what can be stored in a small closet; it is perfect for storing clothes and personal items such as boxes, skis, or tools. A 5 x 10 unit is similar to what can be stored in a 1-2 room apartment. This would include items such as a sofa, beds dressers, table and chairs, TV, and storage boxes. On the large end a 10 x 30 unit is similar to what can be contained in a large moving van or semi-truck, about the contents of a 5-7 room house. Rates are affordable, ranging from $55 to $420 per month, depending on the unit size. A $25 deposit is required. Self-storage makes sense, particularly if items need to be accessed while in storage. 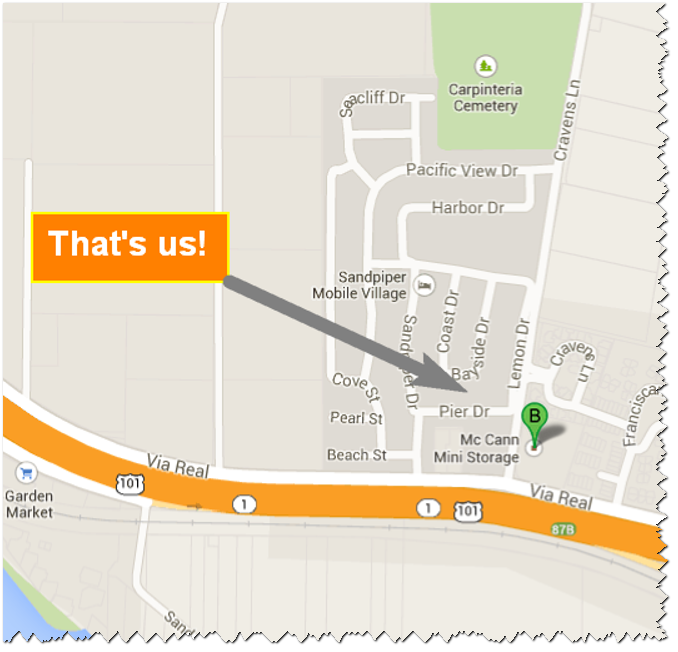 The Santa Barbara self-storage facility is conveniently located at 1222 Cravens Lane in Carpinteria, CA. Gate access hours are daily from 7:00 am to 5:30 pm, with the gates being locked at 6:00 pm. The facility is closed on holidays. Hazelwood Allied can provide a variety of storage boxes in a wide variety of sizes and purposes, from small cartons that can hold medium-sized, dense objects to large boxes that will hold lightweight, larger objects. If needed, the Santa Barbara movers can also arrange transport of items from a home or business to and from the storage facility. If too many things are crowding you out of home or office, Hazelwood Allied can solve all of your Santa Barbara storage problems. About Hazelwood Moving and Storage - Customers refer to Hazelwood Allied Moving and Storage as one of the most professional self-storage and moving companies Santa Barbara has to offer. Santa Barbara businesses and home owners rely on the full-service relocation company to handle everything from family heirlooms to rugged business equipment. When using these quality movers Santa Barbara customers can sit back and let Hazelwood carry the load. Visit the website and Facebook page or call 805-684-2922 for more information or advice on storage units in Santa Barbara.